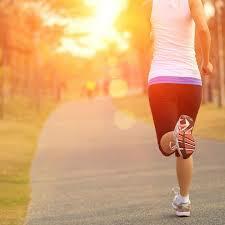 Getting your morning workout done and out of the way is a great way to kick start your day. But if getting yourself ready for a morning workout is difficult, here are a few tips that can help you train yourself to become a morning exerciser. Eat right the night before – Your dinner meal will give you the fuel needed for your morning workout. Add lean meats, veggies and healthy fats to your night meal and chances are you will wake up feeling replenished and ready to take on the day. Make sure dinner is done at least 2 hours before bed, which gives your stomach time to digest your food before your sleep. Coax yourself to bed earlier – It can be easier to wake up if you have gotten a good 7 -9 hours sleep. Try not using your phone, TV and laptop at least 1 hour before bed. This will reduce blue light exposure, giving you a more restful night’s sleep. Find something to look forward to – If you are excited to start your workout, this will be a good reason to get up and get moving. To create excitement for your morning sweat session try adding a new playlist to your ipod, changing up your routine or running a different route. If doing it on your own is hard, get a workout buddy who will help you through the process.